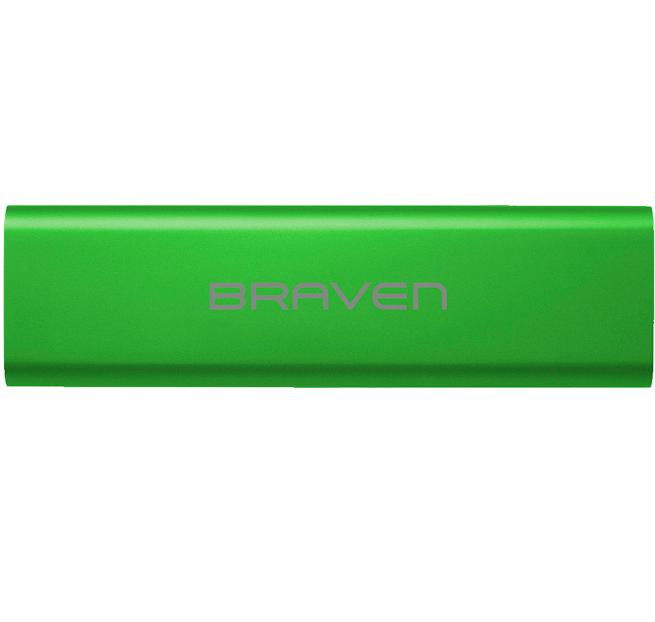 Braven has provided us with another Bluetooth speaker, this time we have received the 570, the entry level model that comes in an assortment of colors, mine is Fiji green. Similar to it’s older and more refined siblings, the 570 offers wireless playback, acts as a speakerphone when needed, and allows charging from the unit if needed. This model claims ten hours of playtime, a 1200 mAh battery, six watt output for the two drivers for stereo sound, amplified by passive subwoofers. The buttons on the side are also present to control volume, track forward/reverse, and take calls. Features aside, it is time to see how this fares in comparison to Braven’s higher end models. The 570 in terms of sounds is identical to the more expensive models. 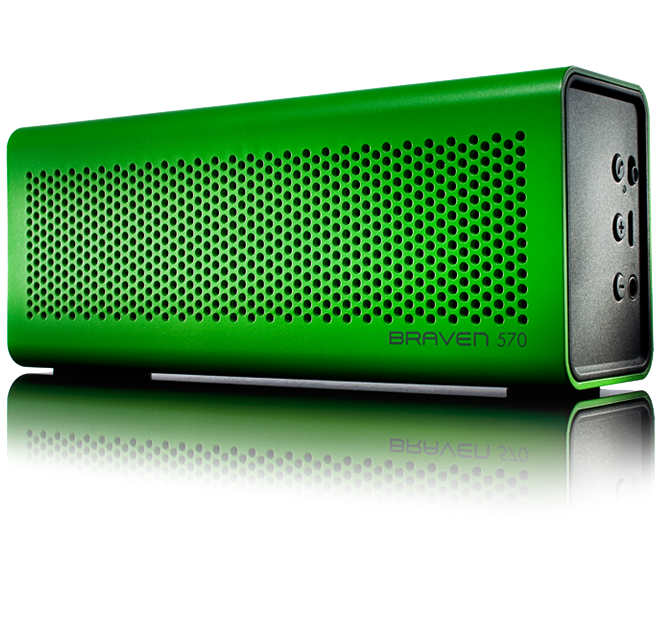 I love how Braven has kept that consistent, and from what I have seen, the difference in their models are simply longer playtime or a different material used for the case. Speaking of the build, you do not get that aluminum casing seen like the 600 series uses, instead housing is plastic and comes in a variety of colors. The smaller 1200 mAh battery clocks in at just over a work day, less if you need to charge your phone, but my use consisted of charging overnight and I was not once without tunes and that was with the occasional quick charge to my phone(roughly 25% of a charge to iPhone 4). 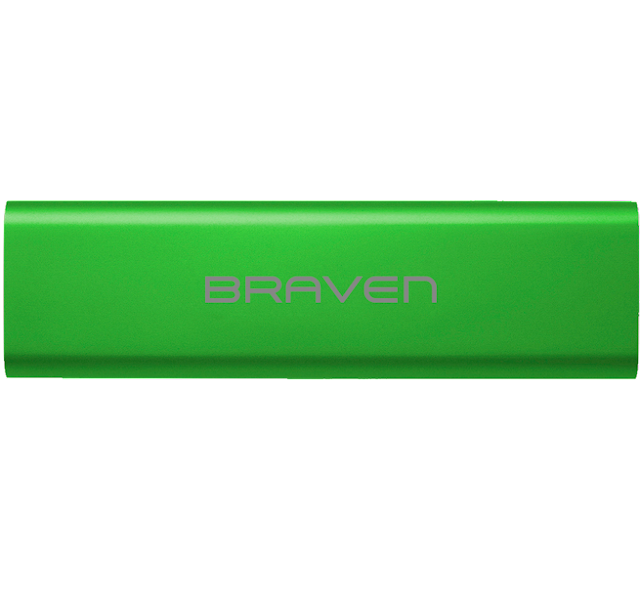 I have been a big fan of the various Braven models reviewed and while the BRV-1 is still my fave, the 570 is genius, providing a more affordable way to get the clear sound and same features found across their lineup. Sure, it has a plastic housing and less charge, but the coating is nice and the color really pops, the Fiji green is almost too bright and hard to lose. 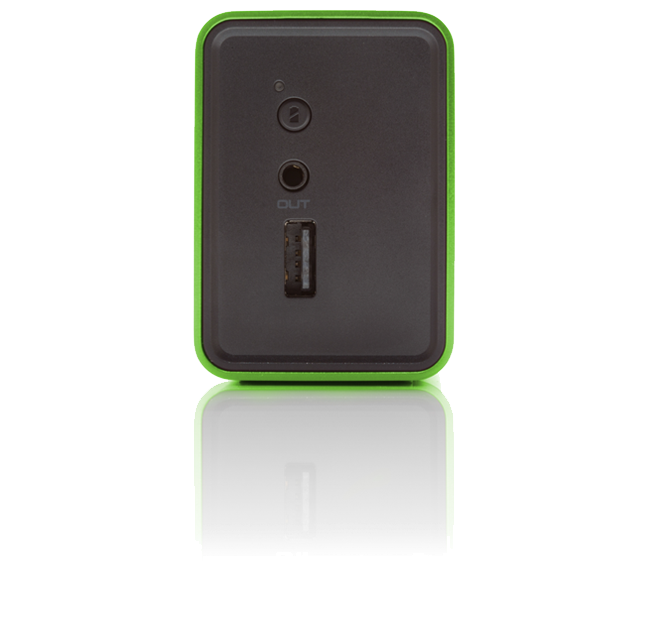 The biggest thing to keep in mind is the battery size, it was enough for me, but for the traveler that will use a lot while traveling will need more juice. In that case let me direct you to the big boy, the 650.